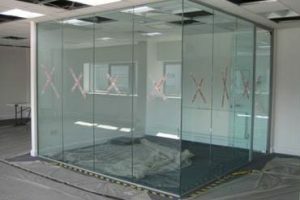 Office partitioning can transform your workspace and provide a segregated area to suit business needs, be it privacy, meeting space, recreational or even too reduce noise. This could be in the form of an executive office space, secure conferencing room or even a dedicated print area. Our team can help you to make the right choices and then deliver the project in full. George Benson Ltd has expert refurbishment specialists who will assist with the design, and provide advice on types of construction, materials, appearance etc. We then manage the project and handle installation, construction and finishing of the bespoke partitioned area.